Lets Plan your Walt Disney World Vacation! Walt Disney World A magical place where dreams come true. Explore 4 theme parks, 2 water parks, shopping and golfing all on Disney property. Disney Cruise Line Set Sail in the high seas aboard the Disney Cruise Line. Sporting 4 ships and the first on board water coaster at sea called the AquaDuck. Disney Cruises are for families or the young at heart. Set Sail today. Adventures By Disney On an Adventures by Disney trip you're a traveler and an adventurer, not a tourist. You and your family become active participants in incredible stories, experiences and cultures through immersive activities only Disney can bring you. No booking fees – EVER! 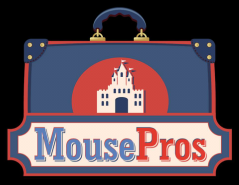 Vacation Price Protection We will continuously monitor your reservations for special offers to ensure you have the lowest possible price offered by Disney. It’s just a Magical Piece of Mind Service. Concierge Service Let us guide you every step of the way in planning your perfect Disney Vacation. Advanced Dining Reservations We will do the research and booking so you don’t have to. Itinerary Planning We can help you choose the best days to visit each park in order to avoid heavy crowds.